Contemporary sofa characterised by a very original and refined look, perfect for a modern and elegantly furnished living room. Corner sofa with chaise lounge, Louisianne features an original upholstery made of fabric and leather (also available only in leather) and offers a great level of comfort thanks to its soft upholstery, its high and ergonomic back and its reclining headrest. Embellished with fine craftsmanship and many other interesting details, Louisianne can be available also in any size. Louisianne is a contemporary and stylish sofa, characterised by a sophisticated, fine and extraordinary craftsmanship which offers many interesting features. 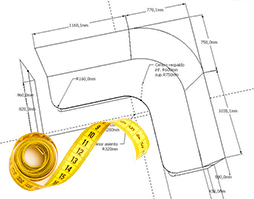 First of all, Louisianne is a corner sofa, so it is perfect to be placed at any right angle, but its peculiar shape allows to recreate many other original and functional design solutions. 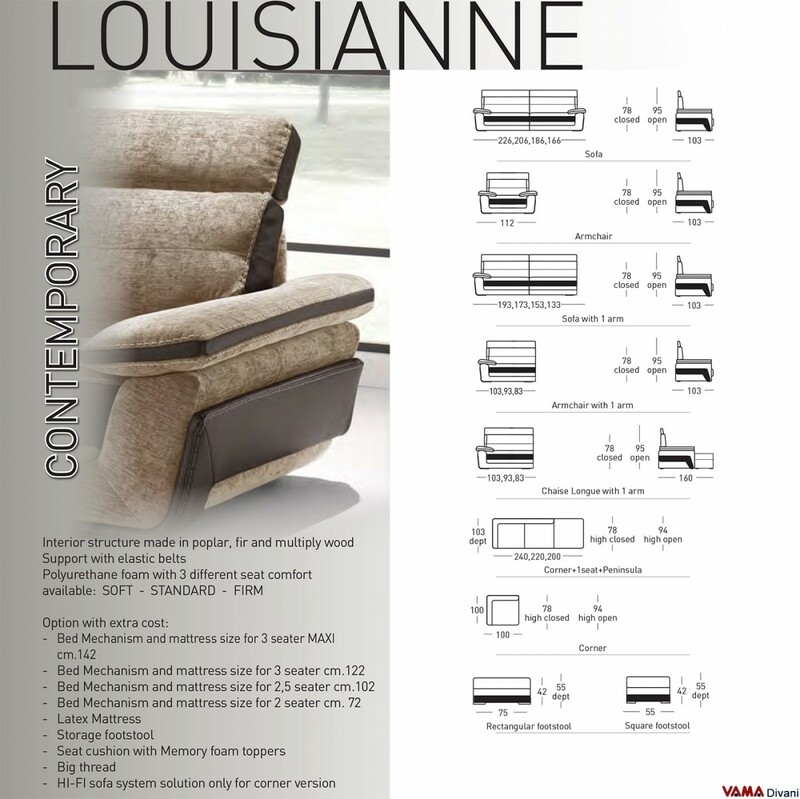 Louisianne also presents a large chaise lounge which can be used both as a convenient surface on which to stretch your legs and as additional available seats. The dimensions of this beautiful contemporary sofa are not standard: Louisianne, in fact, can be easily customised in any size, so that your product meets your space needs and your tastes. Louisianne is a very comfortable sofa, thanks to the great softness of the padding and its ergonomic structure: its high and soft back, however, is supported by a very comfortable and adjustable headrest which allows you to relax in a truly perfect way. 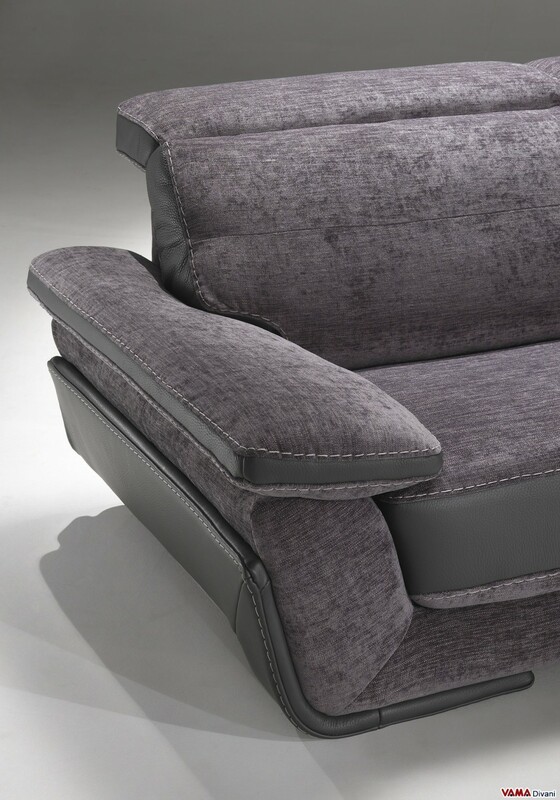 This sofa is particularly interesting also regarding its upholstery: Louisianne, in fact, is upholstered with an unusual blend of leather and fabric, which contributes to make its style particularly eye-catching. If you want, the Louisianne sofa can be realised by the Italian VAMA Divani artisans also entirely upholstered in leather. Due to its particular and elaborated structure, the Louisianne contemporary sofa comes without removable cover, and its beautiful upholstery is embellished by fine and exposed seams realised with thick thread that create a nice contrast with its lining. 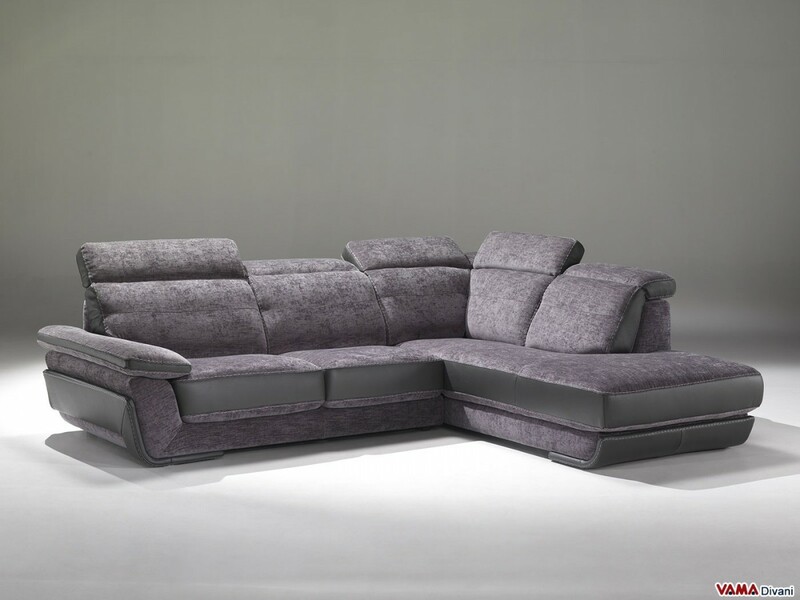 A highest quality sofa for a living room furnished with elegant and contemporary style.